This article is about vehicles powered by rocket engines. 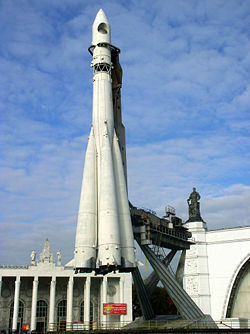 A Soyuz rocket, at Baikonur launch pad. A rocket is a vehicle, missile, or aircraft that obtains thrust by reaction to the ejection of fast-moving fluid from within a rocket engine. The study and development of rockets is called rocketry. In chemically powered rockets, the combustion of propellant produces hot gases that act against the inside of combustion chambers and expansion nozzles. In this process, the gases are accelerated to extremely high speeds, and, because every action has an equal and opposite reaction, generate a large thrust on the rocket. Thus, rockets contain a large amount of energy in an easily liberated form, and they can be very dangerous. However, the risks can be minimized through careful design, testing, and construction. Rockets are used for fireworks and weaponry, as launch vehicles for artificial satellites, and for human spaceflight and exploration of other planets. Compared to other propulsion systems, they are very lightweight, enormously powerful, and can achieve extremely high speeds. The history of rocketry stretches back to at least the thirteenth century. By the twentieth century, this history included human spaceflight to the Moon. In the twenty-first century, commercial space tourism has become feasible. 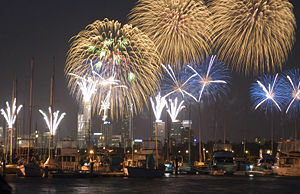 The earliest rockets were used for fireworks. According to the writings of the Roman Aulus Gellius, around 400 B.C.E., a Greek Pythagorean named Archytas propelled a wooden bird along wires using steam. However, it would not appear to have been powerful enough for taking off under its own thrust. The availability of black powder to propel projectiles was a precursor to the development of the first solid rocket. Ninth century Chinese Taoist alchemists discovered black powder in a search for the elixir of life. This accidental discovery led to experiments in forms of weapons like bombs, cannon, and incendiary fire arrows and rocket-propelled fire arrows. Exactly when the first flights of rockets occurred is contested, some say that the first recorded use of a rocket in battle was by the Chinese in 1232 against the Mongol hordes. Reports were of Fire Arrows' with "iron pots" that could be heard for 5 leagues-15 miles, and that upon impact, exploded causing devastation for 2,000 feet in all directions, apparently due to shrapnel. However, it may be that the Fire Arrows were simply arrows with explosives attached, and lowering iron pots may have been a way for a besieged army to blow up invaders. Less controversially, one of the earliest devices recorded that used internal-combustion rocket propulsion was the "ground-rat," a type of firework, recorded in 1264 as having frightened the Empress-Mother Kung Sheng at a feast held in her honor by her son the Emperor Lizong. Subsequently, one of the earliest texts to mention the use of rockets was the Huolongjing, written by the Chinese artillery officer Jiao Yu in the mid-fourteenth century; this text also mentioned the use of the first known multistage rocket. That southern China and Laotian community rocket festivals might then have been key in the spread of rocketry in the Orient was proposed by Frank H. Winter in The Proceedings of the Twentieth and Twenty-First History Symposia of the International Academy of Astronautics. 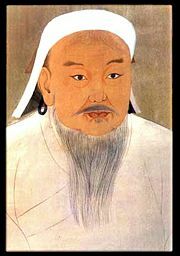 Genghis Khan's Mongols spread Chinese technology. Rocket technology first became known to Europeans following their use by the Mongols Genghis Khan and Ögedei Khan when they conquered parts of Russia, Eastern, and Central Europe. The Mongolians had stolen the Chinese technology by conquest of the northern part of China and also by the subsequent employment of Chinese rocketry experts as mercenaries for the Mongol military. Reports of the Battle of Sejo in the year 1241 describe the use of rocket-like weapons by the Mongols against the Magyars. Rocket technology was also spread to Korea, with the fifteenth century wheeled hwacha that would launch singijeon rockets. These first Korean rockets had an amazingly long range at that time, and these rockets were designed and built by Byun Eee-Joong. Also these rockets were just like arrows but had small explosives attached to the back and flew in swarms. In their history of rockets published on the internet NASA says “the Arabs adopted the rocket into their own arms inventory and, during the Seventh Crusade, used them against the French Army of King Louis IX in 1268." The name Rocket comes from the Italian Rocchetta (that is, little fuse), a name of a small firecracker created by the Italian artificer Muratori in 1379. For over two centuries, the work of Polish-Lithuanian Commonwealth nobleman Kazimierz Siemienowicz, Artis Magnae Artilleriae pars prima ("Great Art of Artillery, the First Part," also known as "The Complete Art of Artillery"), was used in Europe as a basic artillery manual. The book provided the standard designs for creating rockets, fireballs, and other pyrotechnic devices. It contained a large chapter on caliber, construction, production and properties of rockets (for both military and civil purposes), including multi-stage rockets, batteries of rockets, and rockets with delta wing stabilizers (instead of the common guiding rods). In 1792, iron-cased rockets were successfully used militarily by Prince Tipu Sultan of the Kingdom of Mysore in India against the larger British East India Company forces during the Anglo-Mysore Wars. The British then took an active interest in the technology and developed it further during the nineteenth century. The major figure in the field at this time was William Congreve. From there, the use of military rockets spread throughout Europe. At the Battle of Baltimore in 1814, the rockets fired on Fort McHenry by the rocket vessel HMS Erebus were the source of the "rockets' red glare" described by Francis Scott Key in "The Star-Spangled Banner." Rockets were also used in the Battle of Waterloo. Early rockets were very inaccurate. Without the use of spinning or any gimballing of the thrust, they had a strong tendency to veer sharply off course. The early British Congreve rockets reduced this somewhat by attaching a long stick to the end of a rocket (similar to modern bottle rockets) to make it harder for the rocket to change course. The largest of the Congreve rockets was the 32-pound (14.5 kg) Carcass, which had a 15 foot (4.6 m) stick. Originally, sticks were mounted on the side, but this was later changed to mounting in the center of the rocket, reducing drag and enabling the rocket to be more accurately fired from a segment of pipe. In 1815, Alexander Zasyadko began his work on creating military gunpowder rockets. He constructed rocket-launching platforms, which allowed to fire in salvos (6 rockets at a time), and gun-laying devices. Zasyadko elaborated a tactic for military use of rocket weaponry. In 1820, Zasyadko was appointed head of the Petersburg Armory, Okhtensky Powder Factory, pyrotechnic laboratory and the first Highest Artillery School in Russia. He organized rocket production in a special rocket workshop and created the first rocket sub-unit in the Russian army. The accuracy problem was mostly solved in 1844 when William Hale modified the rocket design so that thrust was slightly vectored to cause the rocket to spin along its axis of travel like a bullet. The Hale rocket removed the need for a rocket stick, traveled further due to reduced air resistance, and was far more accurate. According to some sources, a manned rocket was attempted in China by Wan Hu in about AD 1232, but if this ever happened he does not seem to have survived. In Ottoman Turkey in 1633 Lagari Hasan Çelebi took off with what was described to be a cone shaped rocket and then glided with wings into a successful landing winning a position in the Ottoman army. 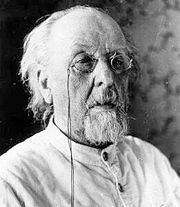 In 1903, high school mathematics teacher Konstantin Tsiolkovsky (1857-1935) published Исследование мировых пространств реактивными приборами (The Exploration of Cosmic Space by Means of Reaction Devices), the first serious scientific work on space travel. The Tsiolkovsky rocket equation—the principle that governs rocket propulsion—is named in his honor (although it had been discovered previously). His work was essentially unknown outside the Soviet Union, where it inspired further research, experimentation, and the formation of the Cosmonautics Society. In 1920, Robert Goddard published A Method of Reaching Extreme Altitudes, the first serious work on using rockets in space travel after Tsiolkovsky. The work attracted worldwide attention and was both praised and ridiculed, particularly because of its suggestion that a rocket theoretically could reach the Moon. A New York Times editorial famously even accused Goddard of fraud, by incorrectly implying that he knew that rockets would not work in space. Tsiolkovsky's work was then republished in the 1920s in response to Russian interest raised by the work of Robert Goddard. Among other ideas, Tsiolkovsky accurately proposed to use liquid oxygen and liquid hydrogen as a nearly optimal propellant pair and determined that building staged and clustered rockets to increase the overall mass efficiency would dramatically increase range. In 1923, Hermann Oberth (1894-1989) published Die Rakete zu den Planetenräumen (The Rocket into Planetary Space), a version of his doctoral thesis, after the University of Munich rejected it. Robert Goddard and the first liquid-fueled rocket about to discover the Pendulum Rocket Fallacy. Modern rockets were born when Goddard attached a supersonic (de Laval) nozzle to a liquid-fueled rocket engine's combustion chamber. These nozzles turn the hot gas from the combustion chamber into a cooler, hypersonic, highly directed jet of gas; more than doubling the thrust and enormously raising the efficiency. Early rockets had been grossly inefficient because of the heat energy that was wasted in the exhaust gases. 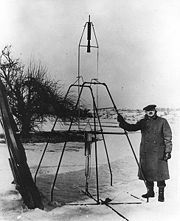 In 1926, Robert Goddard launched the world's first liquid-fueled rocket in Auburn, Massachusetts. During the 1920s, a number of rocket research organizations appeared in America, Austria, Britain, Czechoslovakia, France, Italy, Germany, and Russia. In the mid-1920s, German scientists had begun experimenting with rockets which used liquid propellants capable of reaching relatively high altitudes and distances. A team of amateur rocket engineers had formed the Verein für Raumschiffahrt (German Rocket Society, or VfR) in 1927, and in 1931 launched a liquid propellant rocket (using oxygen and gasoline). From 1931 to 1937, the most extensive scientific work on rocket engine design occurred in Leningrad, at the Gas Dynamics Laboratory. Well funded and staffed, over 100 experimental engines were built under the direction of Valentin Glushko. The work included regenerative cooling, hypergolic propellant ignition, and fuel injector designs that included swirling and bi-propellant mixing injectors. However, the work was curtailed by Glushko's arrest during Stalinist purges in 1938. Similar work was also being done by the Austrian professor Eugen Sänger who worked on rocket powered spaceplanes such as Silbervogel sometimes called the "antipodal" bomber. In 1932, the Reichswehr (which in 1935 became the Wehrmacht) began to take an interest in rocketry. Artillery restrictions imposed by the Treaty of Versailles limited Germany's access to long distance weaponry. 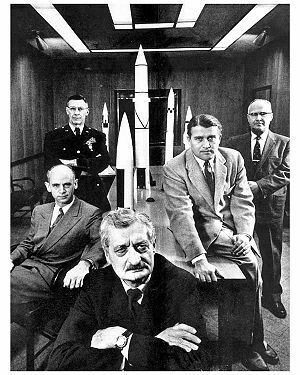 Seeing the possibility of using rockets as long-range artillery fire, the Wehrmacht initially funded the VfR team, but seeing that their focus was strictly scientific, created its own research team, with Hermann Oberth as a senior member. At the behest of military leaders, Wernher von Braun, at the time a young aspiring rocket scientist, joined the military (followed by two former VfR members) and developed long-range weapons for use in World War II by Nazi Germany, notably the A-series of rockets, which led to the infamous V-2 rocket (initially called A4). In 1943, production of the V-2 rocket began. The V-2 had an operational range of 300 km (185 miles) and carried a 1000 kg (2204 lb) warhead, with an amatol explosive charge. Highest point of altitude of it flight trajectory is 90 km. The vehicle was only different in details from most modern rockets, with turbopumps, inertial guidance and many other features. Thousands were fired at various Allied nations, mainly England, as well as Belgium and France. While they could not be intercepted, their guidance system design and single conventional warhead meant that the V-2 was insufficiently accurate against military targets. The later versions however, were more accurate, sometimes within meters, and could be devastating. 2,754 people in England were killed, and 6,523 were wounded before the launch campaign was terminated. While the V-2 did not significantly affect the course of the war, it provided a lethal demonstration of the potential for guided rockets as weapons. Under Projekt Amerika Nazi Germany also tried to develop and use the first submarine-launched ballistic missile (SLBMs) and the first intercontinental ballistic missiles (ICBMs) A9/A10 Amerika-Raketen to bomb New York and other American cities. The tests of SLBM-variant of A4 rocket was fulfilled from U-boats submarine towed launch platforms. The second stage of A9/A10 rocket was tested few times in January, February, and March 1945. In parallel with the guided missile programme in Nazi Germany, rockets were also being used for aircraft, either for rapid horizontal take-off (JATO) or for powering the aircraft (Me 163,etc) and for vertical take-off (Bachem Ba 349 "Natter"). At the end of World War II, competing Russian, British, and U.S. military and scientific crews raced to capture technology and trained personnel from the German rocket program at Peenemünde. Russia and Britain had some success, but the United States benefited the most. The U.S. captured a large number of German rocket scientists (many of whom were members of the Nazi Party, including von Braun) and brought them to the United States as part of Operation Paperclip. In America, the same rockets that were designed to rain down on Britain were used instead by scientists as research vehicles for developing the new technology further. 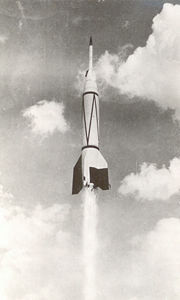 The V-2 evolved into the American Redstone rocket, used in the early space program. After the war, rockets were used to study high-altitude conditions, by radio telemetry of temperature and pressure of the atmosphere, detection of cosmic rays, and further research; notably for the Bell X-1 to break the sound barrier. This continued in the U.S. under von Braun and the others, who were destined to become part of the U.S. scientific complex. Independently, research continued in the Soviet Union under the leadership of Sergei Korolev. With the help of German technicians, the V-2 was duplicated and improved as the R-1, R-2 and R-5 missiles. German designs were abandoned in the late 1940s, and the foreign workers were sent home. A new series of engines built by Glushko and based on inventions of Aleksei Isaev formed the basis of the first ICBM, the R-7. The R-7 launched the first satellite, the first man into space and the first lunar and planetary probes, and is still in use today. These events attracted the attention of top politicians, along with more money for further research. Rockets became extremely important militarily in the form of modern intercontinental ballistic missiles (ICBMs) when it was realized that nuclear weapons carried on a rocket vehicle were essentially not defensible against once launched, and they became the delivery platform of choice for these weapons. 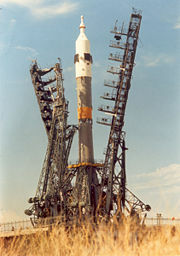 Fueled partly by the Cold War, the 1960s became the decade of rapid development of rocket technology particularly in the Soviet Union (Vostok, Soyuz, Proton) and in the United States (e.g. the X-15 and X-20 Dyna-Soar aircraft, Gemini). There was also significant research in other countries, such as Britain, Japan, Australia, and so on. This culminated at the end of the 60s with the manned landing on the moon via the Saturn V, causing the New York Times to retract their earlier editorial implying that spaceflight could not work. Rockets remain a popular military weapon. The use of large battlefield rockets of the V-2 type has given way to guided missiles. 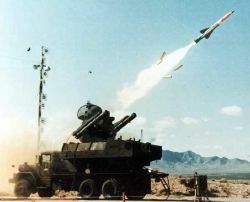 However rockets are often used by helicopters and light aircraft for ground attack, being more powerful than machine guns, but without the recoil of a heavy cannon. In the 1950s there was a brief vogue for air-to-air rockets, including the AIR-2 "Genie" nuclear rocket, but by the early 1960s these had largely been abandoned in favor of air-to-air missiles. Economically, rocketry has enabled access to space and launched the era of satellite communication. Scientifically, rocketry has opened a window on our universe, allowing the launch of space probes to explore our solar system, satellites to monitor Earth itself, and telescopes to obtain a clearer view of the rest of the universe. However, in the minds of much of the public, the most important use of rockets is manned spaceflight. 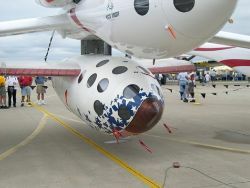 Vehicles such as the Space Shuttle for scientific research, the Soyuz for orbital tourism and SpaceShipOne for suborbital tourism may show a way towards greater commercialization of rocketry, away from government funding, and towards more widespread access to space. There are many different types of rockets, and a comprehensive list can be found in rocket engine—they range in size from tiny models such as water rockets or small solid rockets that can be purchased at a hobby store, to the enormous Saturn V used for the Apollo program. Rockets at minimum consist of propellant, one or more rocket engines, stabilization device(s) and a structure (typically monocoque) to hold these components together. Many rockets also have an aerodynamic fairing such as a nose cone. Most current rockets are chemically powered rockets (internal combustion engines) that emit a hot exhaust gas. A chemical rocket engine can use gas propellant, solid propellant, liquid propellant, or a hybrid mixture of both solid and liquid. A chemical reaction is initiated between the fuel and the oxidizer in the combustion chamber, and the resultant hot gases accelerate out of a nozzle (or nozzles) at the rearward-facing end of the rocket. 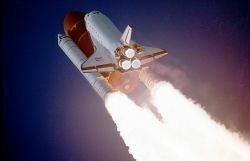 The acceleration of these gases through the engine exerts force ("thrust") on the combustion chamber and nozzle, propelling the vehicle (in accordance with Newton's Third Law). See rocket engine for details. Not all rockets use chemical reactions. Steam rockets, for example, release superheated water through a nozzle where it instantly flashes to high velocity steam, propelling the rocket. The efficiency of steam as a rocket propellant is relatively low, but it is simple and reasonably safe, and the propellant is cheap and widely available. Most steam rockets have been used for propelling land-based vehicles but a small steam rocket was tested in 2004 on board the UK-DMC satellite. There are even proposals to use steam rockets for interplanetary transport using either nuclear or solar heating as the power source to vaporize water collected from around the solar system. In many military weapons, rockets are used to propel payloads to their targets. A rocket and its payload together are generally referred to as a missile, especially when the weapon has a guidance system. 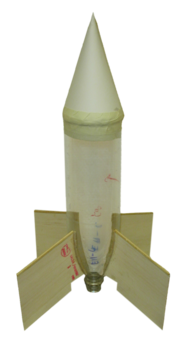 Sounding rockets are commonly used to carry instruments that take readings from 50 kilometers (30 mi) to 1,500 kilometers (930 mi) above the surface of the Earth, the altitudes between those reachable by weather balloons and satellites. Due to their high exhaust velocity (Mach ~10+), rockets are particularly useful when very high speeds are required, such as orbital speed (Mach 25+). Indeed, rockets remain the only way to launch spacecraft into orbit. They are also used to rapidly accelerate spacecraft when they change orbits or de-orbit for landing. Also, a rocket may be used to soften a hard parachute landing immediately before touchdown (see Soyuz spacecraft). Spacecraft delivered into orbital trajectories become artificial satellites. In all rockets, the exhaust is formed from propellants carried within the rocket prior to use. Rocket thrust is due to the rocket engine, which propels the rocket forwards by expelling the exhaust rearwards at extreme high speed. In a closed chamber, the pressures are equal in each direction and no acceleration occurs. If an opening is provided at the bottom of the chamber then the pressure is no longer acting on that side. The remaining pressures gives a resultant thrust in the side opposite the opening which provides thrust. Using a nozzle increases the forces further, in fact multiplies the thrust depending on the area ratio of the nozzle. As the remaining propellant decreases, the vehicle's acceleration tends to increase until it runs out of propellant, and this means that much of the speed change occurs towards the end of the burn when the vehicle is much lighter. If the pressure of the exhaust jet varies from atmospheric pressure, nozzles can be said to be underexpanded, ambient or overexpanded. If under or overexpanded then loss of efficiency occurs, grossly overexpanded nozzles lose less efficiency, but the exhaust jet is usually unstable. Rockets become progressively more underexpanded as they gain altitude. Note that almost all rocket engines will be momentarily grossly underexpanded during startup in an atmosphere. Since, unlike a jet engine, a conventional rocket motor lacks an air intake, there is no 'ram drag' to deduct from the gross thrust. Consequently the net thrust of a rocket motor is equal the gross thrust. The term represents the momentum thrust, which remains constant at a given throttle setting, whereas the term represents the pressure thrust term. At full throttle, the net thrust of a rocket motor improves slightly with increasing altitude, because the reducing atmospheric pressure increases the pressure thrust term. the effective exhaust velocity in a vacuum of that particular engine. Mass ratio is the ratio between fully fuelled mass and the mass when the usable fuel has all been exhausted. A high mass ratio is desirable for good performance, since it indicates that the rocket is lightweight and hence performs better, for essentially the same reasons that low weight is desirable in sports cars. Rockets as a group have the highest thrust-to-weight ratio of any type of engine; and this helps vehicles achieve high mass ratios, which improves the performance of flights. The higher this ratio, the less engine mass is needed to be carried and permits the carrying of even more propellant, this enormously improves performance. Achievable mass ratios are highly dependent on many factors such as the type of engine the vehicle uses and structural safety margins. Common mass ratios for launch vehicles are 20:1 for dense propellants such as liquid oxygen and kerosene, 25:1 for dense monopropellants such as hydrogen peroxide, and 10:1 or worse for liquid oxygen and liquid hydrogen. The speeds that a rocket vehicle can reach can be calculated by the Tsiolkovsky rocket equation, which gives the speed difference ("delta-v") in terms of the exhaust speed and ratio of initial mass to final mass ("mass ratio"). At take-off the rocket has a great deal of energy in the form of fuel and oxidiser stored within the vehicle, and it is of course desirable that as much of the energy stored in the propellant ends up as kinetic or potential energy of the body of the rocket as possible. Energy from the fuel is lost in air drag and is used to gain altitude. However, much of the lost energy ends up in the exhaust. One hundred percent efficiency within the engine ( ) would mean that all of the heat energy of the combustion products is converted into kinetic energy of the jet. This is not possible, but nozzles come surprisingly close: When the nozzle expands the gas, the gas is cooled and accelerated, and an energy efficiency of up to 70 percent can be achieved. Most of the rest is heat energy in the exhaust that is not recovered. This compares very well with other engine designs. The high efficiency is a consequence of the fact that rocket combustion can be performed at very high temperatures and the gas is finally released at much lower temperatures, and so giving good Carnot efficiency. However, engine efficiency is not the whole story. In common with many jet-based engines, but particularly in rockets due to their high and typically fixed exhaust speeds, rocket vehicles are extremely inefficient at low speeds irrespective of the engine efficiency. The problem is that at low speeds, the exhaust carries away a huge amount of kinetic energy rearward. However as speeds rise, the resultant exhaust speed goes down, and the overall vehicle energetic efficiency rises, reaching a peak of (theoretically) 100 percent of the engine efficiency when the vehicle is traveling exactly at the same speed that the exhaust is emitted; and then the exhaust in principle stops dead in space behind the moving vehicle. The efficiency then drops off again at even higher speeds as the exhaust ends up traveling forwards behind the vehicle. Since the energy ultimately comes from fuel, these joint considerations mean that rockets are mainly useful when a very high speed is required, and thus they are rarely if ever used for general aviation. Jet engines which have a better match between speed and jet exhaust speed such as turbofans dominate for subsonic and supersonic atmospheric use while rockets work best at hypersonic speeds. On the other hand rockets do also see many short-range relatively low speed military applications where their low-speed inefficiency is outweighed by their extremely high thrust and hence high accelerations. 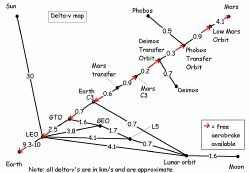 Often, the required velocity (delta-v) for a mission is unattainable by any single rocket because the propellant, structure, guidance, and engines take a particular minimum percentage of take-off mass. 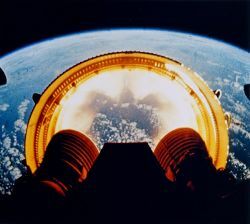 The mass ratios that can be achieved with a single set of fixed rocket engines and tankage varies depends on acceleration required, construction materials, tank layout, engine type and propellants used, but for example the first stage of the Saturn V, carrying the weight of the upper stages, was able to achieve a mass ratio of about 10. This problem is frequently solved by staging—the rocket sheds excess weight (usually tankage and engines) during launch to reduce its weight and effectively increase its mass ratio. Staging is either serial where the rockets light one after the previous stage has fallen away, or parallel, where rockets are burning together and then detach when they burn out. Typically, the acceleration of a rocket increases with time (if the thrust stays the same) as the weight of the rocket decreases as propellant is burned. Discontinuities in acceleration will occur when stages burn out, often starting at a lower acceleration with each new stage firing. Because of the enormous chemical energy in all useful rocket fuels (greater energy per weight than explosives, but lower than gasoline), accidents can and have happened. The number of people injured or killed is usually small because of the great care typically taken, but this record is not perfect. ↑ 1.0 1.1 NASA, Brief History of Rockets Retrieved March 29, 2017. ↑ Leofranc Holford-Strevens, Aulus Gellius: An Antonine Author and his Achievement (New York, NY: Oxford University Press, 2005, ISBN 0199263191). ↑ 3.0 3.1 Views of the Solar System, A Brief History of Rocketry. Retrieved March 29, 2017. ↑ Alfred W. Crosby, Throwing Fire: Projectile Technology Through History (Cambridge, UK: Cambridge University Press, 2002, ISBN 0521791588). ↑ Frank H. Winter, The `Boun Bang Fai' Rockets of Thailand and Laos, in Lloyd H. Cornett, Jr. (ed. ), History of Rocketry and Astronautics—Proceedings of the Twentieth and Twenty-First History Symposia of the International Academy of Astronautics 15: 3-24. 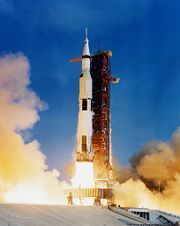 ↑ 6.0 6.1 NASA, A brief history of rocketry. Retrieved March 29, 2017. ↑ Wernher Von Braun and Frederick I. Ordway, III, Space Travel: A History : An Update of History of Rocketry & Space Travel (New York, NY: Harpercollins, 1985, ISBN 978-0061818981). ↑ 8.0 8.1 Stephen Leslie, Dictionary of National Biography (New York, NY: Macmillan & Co., 1887). ↑ Astronautics Now, Early History of Spacecraft and Rocketry. Retrieved March 29, 2017. ↑ Rocket pioneers & scientists, Hale 24-Pounder Rocket. Retrieved March 29, 2017. ↑ Frank H. Winter, Who First Flew in a Rocket? Journal of the British Interplanetary Society 45 (1992): 275-80. ↑ W. Johnson, Contents and commentary on William Moore's a treatise on the motion of rockets and an essay on naval gunnery, International Journal of Impact Engineering 16 (3): 499-521. ↑ Robert H. Goddard, A Method of Reaching Extreme Altitudes, Clark University. Retrieved March 29, 2017. ↑ David Darling, History of Rocketry: Verein für Raumschiffahrt (VfR), The Internet Encyclopedia of Science. Retrieved March 29, 2017. ↑ E. Saenger and J. Bredt, A Rocket Drive For Long Range Bombers. Retrieved March 29, 2017. ↑ Russian Space Web, A-4 (V-2) rocket. Retrieved March 29, 2017. ↑ A4/V2 Mobile Firing Operations 1944-45. V2Rocket.com. Retrieved March 29, 2017. ↑ Encyclopedia Astronautica, A9/A10. Retrieved March 29, 2017. ↑ Elaine M. Marconi, What is a Sounding Rocket? NASA. Retrieved March 29, 2017. ↑ D.K. Huzel and D.H. Huang, NASA SP-125, Design of Liquid Propellant Rocket Engines, NASA. Retrieved March 29, 2017. ↑ NASA, Rocket Mass Ratios. Retrieved March 29, 2017. ↑ Strout.net, Delta-V Calculator. Retrieved March 29, 2017. ↑ NASA, Rocket staging. Retrieved March 29, 2017. Gruntman, Mike. Blazing the Trail: The Early History of Spacecraft and Rocketry. Reston, VA: American Institute of Aeronautics and Astronautics, 2004. ISBN 978-1563477058. Rogers, Lucy. It's Only Rocket Science: An Introduction in Plain English. Astronomers' Universe. New York: Springer, 2008. ISBN 978-0387753775. Sutton, George Paul, and Oscar Biblarz. Rocket Propulsion Elements, 7th ed. New York: John Wiley & Sons, 2001. ISBN 0471326429. Sutton, George P. History of Liquid Propellant Rocket Engines. Reston, VA: American Institute of Aeronautics and Astronautics, 2005. ISBN 1563476495. Van Riper, A. Bowdoin. Rockets and Missiles: The Life Story of a Technology. Baltimore, MD: The Johns Hopkins University Press, 2007. ISBN 0801887925. All links retrieved March 29, 2017. FAA Office of Commercial Space Transportation. Gunter's Space Page - Complete Rocket and Missile Lists. This page was last modified on 29 March 2017, at 15:44.